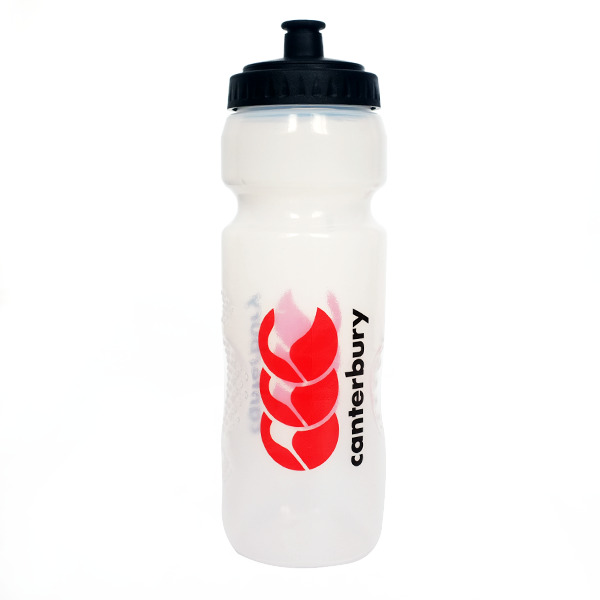 The Clear Canterbury Water Bottle has a clear exterior with printed CCC logo to the front. It also features shaping to the middle for an easy grip. Also features a non drip valve.